In this Post: Learn about the best massage podcast, “Life Beyond The Massage Table” from Candice Eisner. I’ll admit it. I’m typically a late adapter. Take for instance my weekly email. Once a week I send an email to all of my clients, it took me until 2017 to start using an email provider. Before that I simply sent from my gmail account. When it came to podcasts, things were no different. I didn’t discover podcasts until about the time my son was born in 2016. Once I discovered them though, my life was never the same! How had it taken me so long to find this amazing resource? Since my podcast discovery two years ago, I searched for a podcast related to the massage field. Something worthy of listening to on a regular basis. I found a few that I would tune into here and there, but nothing that really got to the heart and soul of what it truly meant to me to be a massage therapist. One that talked about marketing, self-care, taxes, and social media. One that went beyond the hands-on work of actually massaging and addressed all the intricacies of running a practice. One that had relevant, interesting, and applicable content. I found my new favorite massage podcast, “Life Beyond The Massage Table.” It is a fantastic resource for massage therapists. Candice Eisner is a retired massage therapist turned marketing coach and web designer. Candice was a therapist for eight years, during which time she built up a thriving massage practice in two cities. Hailing from Canada, some of her information does not pertain to the states. However, regardless of whether or not you live in the states, you are bound to learn valuable knowledge here. Health issues caused her to retire from the field, and get into coaching and design work. However, her passion for the field is still very much alive. 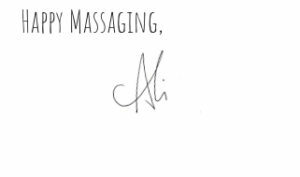 Her real-life experience building a practice translates to authentic dialogue on how to build a thriving massage practice in tangible ways. As a solo host, Candice is smart, thoughtful, and thorough in how she breaks down concepts. With excellent sound quality, whimsical intro music, and no sponsors or commercials “Life Beyond The Massage Table” is an easy listen. Candice has yet to reach the 100 show mark, but is enthusiastically approaching that honorable mark! While Candice’s personal expertise was in the massage industry, she markets her podcast to health, wellness, and fitness professionals. Pilates and yoga instructors, physical therapists, as well as massage therapists, can all benefit from her knowledgeable insights. Who Is This Podcast Best For? Her information is geared more toward risk takers. She addresses practitioners who took the leap to branch out on their own and either work for themselves or have therapists working for them. She gets to the heart of how scary it can feel at times to have to make all of the decisions by yourself, and then she provides solutions. For those risk-averse, who choose to massage for someone else, there is still valuable information. But those who prefer to leave work at work probably won’t care about a lot of the marketing, SEO, and website dilemmas she sheds light on. Really she is geared towards the true entrepreneur. Candice encourages listeners to niche down, get really specific with the type of clients they want to work with. Her philosophy is that you cannot be great at every type of massage and that in order to be successful, you shouldn’t try. That when you are working in your zone, you will have a more prosperous, thriving business. She doesn’t waste time with irrelevant banter. 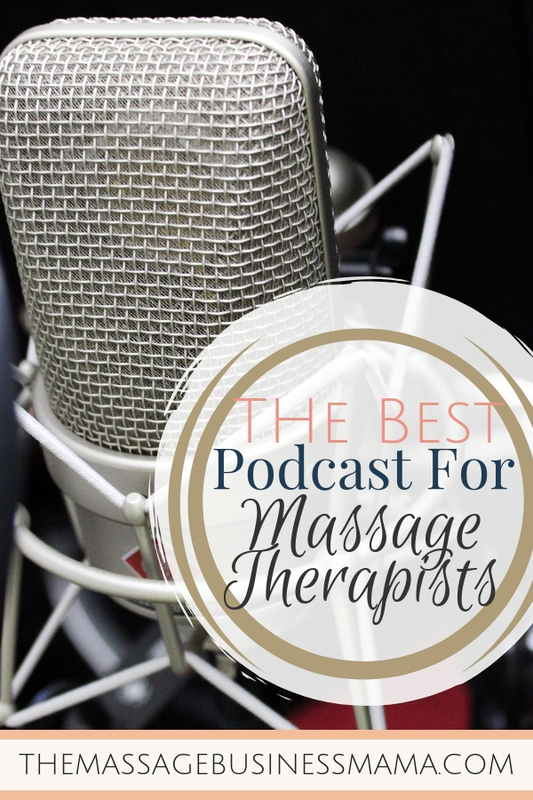 Instead, her episodes concisely cover a range of topics related to the massage field. Her show started in July 2016, and have gradually become longer over the years. The typical length of a show is about 30 minute at present moment. 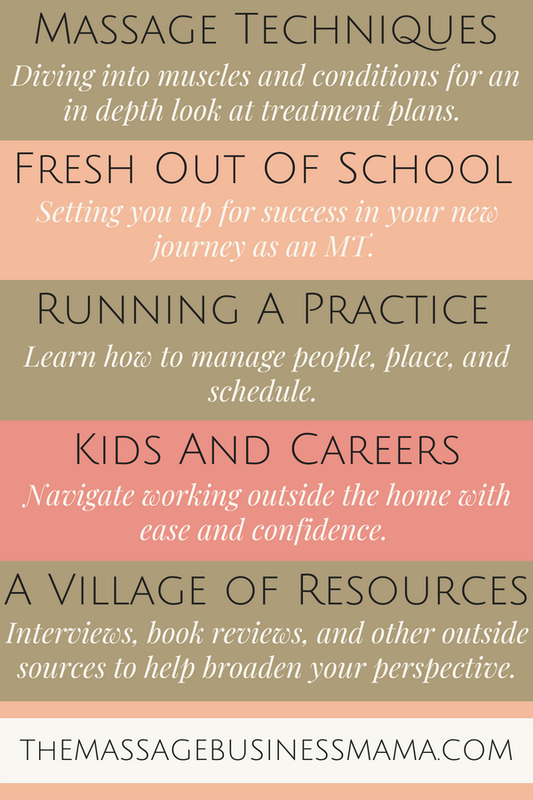 I am so excited to have found Candice, and can’t wait to hear what she has to teach me next! Cleaning around the house has never been more enjoyable! What is your favorite massage podcast? Please share with me which podcasts speak to you in your journey as a massage therapist.